Just like you have an astrological Sun Sign, you also have a Numerological Sun Number. This Sun Number indicates the core of who you are and can help to paint a picture as to what your soul has come here to achieve. Sun Numbers range from 1 to 9 and each hold a particular vibration and energy that is meant to guide you on your journey. 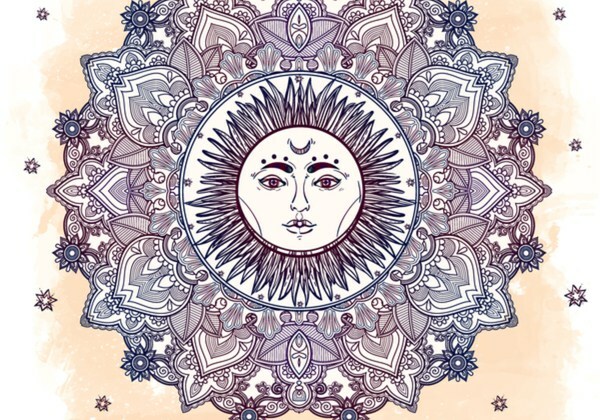 Even though your Sun Number is only part of the picture, you can use it along with your Sun sign and Life Path Number to get a fuller picture of your energetic nature and strength and weaknesses. Number 1 holds the vibration of leadership and ambition, it is also one of the most creative numbers and symbolises the planting of that first seed. Number 1 energy is independent, determined, original and highly ambitious. Number 1 energy can also be arrogant, stubborn or self-centered when not in check. Those with the Sun Number of 1 are driven to start new projects and release new ideas into the world. They are also natural born leaders who have the ability to take a creative idea and make it happen. Number 1’s can often be easily sidetracked and keen to start the next project before seeing their first project through. For this reason, Number 1’s need to learn how to work with others and find people who will help them ensure their projects have longevity. In love and relationships, Number 1’s are quick to fall in love but also quick to fall out of love. Their greatest lesson is learning how to open their heart to others and learning how to put others before themselves. Number 1 energy is closely linked with the astrological signs of Aries and Leo and the energy of the Sun. Number 2 holds the vibration of harmony, unity, compassion and healing. If Number 1 energy symbolises the planting of the first seed, Number 2 energy symbolises taking care of and nourishing that seed so it may bloom into a healthy flower. When not in balance, Number 2 energy can be expressed as being too dependent on others, manipulative and even passive aggressive. Those with the Sun Number of 2 need to learn how to express their truth and release their emotions. They also need to learn how to care for themselves as much as they care for other people. Number 2’s are often naturally empathic and very intuitive. They are often sensitive to energies and can instantly pick up on how someone else is feeling. Number 2’s thrive in relationships as long as they are not compromising their own beliefs or health and wellbeing. They are also extremely good mediators and do well working with other people or for other people. Number 2 energy is closely linked with the astrological sign of Cancer and the energy of the Moon. Number 3 holds the vibration of adventure, play and learning. Number 3 energy is often very social and is extremely curious about life and different cultures. If Number 2 energy symbolises caring for the flower, Number 3 energy symbolises the blooming flower that opens its eyes to the world for the first time. Number 3 energy symbolises the excitement, the wonder, the awe and the need to express everything it is seeing, hearing and experiencing. Number 3 energy is very sociable, friendly and outgoing and those with the Sun Number 3 often have very large social circles. When not in balance, Number 3 energy can manifest as being over-indulgent, scattered and even superficial. It is important for Number 3 energy to also learn how to become more grounded and responsible. Number 3’s are easily distracted and bored and need to be mentally stimulated. They never stop learning and are always looking for new information or new insights. They are also very open minded and naturally drawn to understanding the spirit world. In relationships, Number 3 energy is very open to all types of things and experiences. In order to feel content in a relationship, those with Number 3 energy need their space and freedom. When given freedom, they are loyal lovers. Number 3 energy is closely linked to the astrological sign of Sagittarius and the energy of the planet Jupiter. Number 4 holds the vibration of balance, dedication and trustworthiness. If Number 3 energy is the flower that opens its eyes to the world for the first time, Number 4 energy symbolises the flower that gets to work in order to fulfil its purpose. Number 4 is driven to solve problems and is extremely self-disciplined, especially when it comes to achieving goals. When not in balance however, Number 4 energy can manifest as being stubborn, anxious or narrow minded. Number 4 energy is driven to create a life of stability but part of their lesson is learning how to go with the flow and embrace the changes that life brings. When they are too planned, Number 4 energy can feel disappointed and even stuck. Those with the Sun Number of 4 benefit when they think outside of the box and have big dreams and wishes to go after. They are also naturally drawn to technology and revolutionary ideas. In relationships, Number 4’s are extremely loyal and seek to find a partner that can bring them comfort and stability. They work well with others and are often extremely family oriented. Number 4 energy is closely linked with the astrological sign of Aquarius and the energy of Uranus. Number 5 holds the vibration of creativity, change and intellect. Number 5 energy is extremely adaptive and can morph itself to handle and fit in to any situation. If Number 4 energy symbolises the flower hard at work, Number 5 energy symbolises the creative ideas and inspirations that follow. Number 5 energy also symbolises the changes from one goal to the next. When Number 5 energy is not in balance, it can manifest as a lack of commitment, scattered energy, worried thinking, over thinking and untrustworthiness. Number 5 energy thrives with change and seeks out transformative experiences in order to grow, learn and develop. They require a lot of mental stimulation and do well when they are juggling many projects at once. In relationships, Number 5’s are very adaptable and friendly. Their partner needs to be their best friend and they also need their freedom to express their individuality. Number 5 energy is closely linked with the astrological signs of Gemini and Virgo and the energy of Mercury. Number 6 energy is stable, balanced and very centered. If Number 5 symbolises creative ideas, Number 6 symbolises how those creative ideas are manifested into reality. When in balance, Number 6 energy is compassionate, trustworthy, hardworking and drawn to all things relating to health and fitness. When out of balance however, Number 6 energy can feel over worked, physically sick, stuck or unwilling to change and jealous of other’s success. Those with a Sun Number of 6 have the ability to take their ideas and turn them into realities. They are extremely creative and hardworking, which allows them to create empires. Often those born with Number 6 energy are naturally gifted in entrepreneurship and also take a mind-body approach to living. Number 6 energy loves to be in partnership with others both romantically and in business. In relationships specifically, Number 6 need to feel deeply attached to their partners. While they can be slow to warm up in relationships they are extremely loyal and dedicated once they commit. At times they can be controlling and jealous, so they need to also be mindful of this in their relationships. Number 6 energy is closely linked with the astrological signs of Taurus and Libra and the energy of Venus. Number 7 holds the vibration of spirituality, deep thinking, emotions and intuition. If Number 6 energy represents turning creative ideas into realities, Number 7 energy represents the deeper meaning behind those realities. In many ways, Number 7 energy is the Divine intelligence that we cannot see but we know is there. When out of balance, Number 7 energy can be highly sensitive, aloof, scattered or out of touch with reality. Number 7 energy can also be manipulative and drawn to obsessive behaviors or addictions. Those with the Sun Number of 7 are highly gifted when it comes to their intuition and are naturally drawn to lead with their heart. Number 7 energy is highly creative but also dreamy. It is this dreamy quality that allows them to create art, music and to delve into the hidden realms. Number 7’s can find it hard to integrate or to accept reality at times and may struggle to deal with “human responsibilities”. To counteract this, Number 7’s should always follow their intuition and make decisions from this place. In relationships, Number 7’s need to be with someone that can go into the deeper, hidden realms of life. They also need someone who is going to accept and appreciate their emotional sensitivities. In general, Number 7 is extremely loyal but can also be overly needy or idealistic when it comes to love. Number 7 energy is closely linked with the astrological sign of Pisces and the energy of Neptune. Number 8 holds the energy of success, strength and authority. They are very practical and are especially driven in their careers. If Number 7 represents the Divine intelligence, Number 8 represents the mind intelligence and the power of our conscious mind. When not in balance, Number 8 energy can manifest as being tense or uptight, materialistic or controlling. It can also manifest as being too ego-driven and out of touch with the heart. Those with the Sun Number of 8 are destined for success in their careers and do very well at climbing the corporate ladder. They are very brave and not afraid to take chances, they are also excellent at negotiating or spinning facts to get their point across. Number 8 energy is also extremely conscientious and makes it a point to think about the thoughts and feelings of everyone involved without getting emotionally attached. Although this can make them appear cold to others, this gift allows them to complete the work they need to. In relationships, Number 8 energy is extremely loyal and needs to be with a partner who is very committed and dedicated. Number 8 energy is also very career driven so they need to be mindful of how they balance their time and energy. Number 8 energy is closely linked with the astrological signs of Capricorn and Aquarius and the planet Saturn. Number 9 energy is sympathetic, philosophical and extremely open minded. Number 9 is driven to teach, heal and get involved in humanitarian pursuits. If Number 7 symbolises the Divine Intelligence and Number 8 symbolises the Mind Intelligence, Number 9 represents both of these intelligences combined. It represents the complete being or completion. When not in balance, Number 9 energy can manifest as being careless, restless and moody. Number 9 energy can also suffer burn out if they don’t practice self love and continually check back in with themselves. Those born with the Sun Number of 9 are often here to teach or impart some wisdom onto the world. They also naturally gravitate towards learning, reading and studying the deeper philosophies on life. In relationships, Number 9’s are givers and love to make the other person feel good and comfortable. They are also very sympathetic and in tune with other people’s emotions. They are can be emotional, so focusing on effective communication is important for Number 9. Number 9 energy is closely linked to the astrological signs of Aries and Scorpio and the energy of Mars.